It is easy to put trust into nursing homes and live-in care facilities. We want them to treat our loved ones with pride, protection, and respect. However, reports of nursing home negligence and abuse are far too common among residents and their families, and statistics show that negligence often goes unreported. 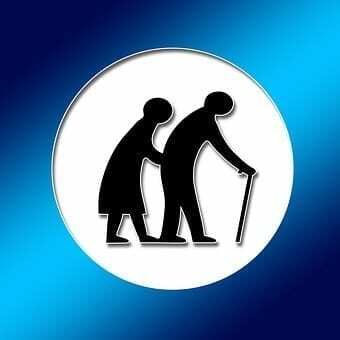 At the Bottaro Law Firm, our nursing home abuse lawyers are here to help Rhode Island and Massachusetts families stand up for what’s right and hold these facilities accountable for their mistreatment. abuse and/or neglect are often afraid of speaking up, because they think they might not be taken seriously. Some of them still live with the abuse because they assume this is a “normal” experience in a nursing home setting. Just because statistically speaking, nursing home neglect is on the rise, does not make it right. Victims and their families need to stand up for their legal rights and try to help by stopping cycles of mistreatment that could be affecting other residents that are not speaking up. Prescription errors: Almost a third of long-term patients are taking 20 or more prescription medications and almost two-thirds are taking nine or more, it is imperative that patients are getting administered their medicine properly. Some errors include prescribing the wrong medication or giving the wrong dosage, or over or under dose, and failure to administer. Decubitus ulcers: More commonly known as bedsores or pressure ulcers, these are a common result of inattentive nursing home care. Some nursing homes try to argue that there is no preventing these sores among elderly and bedridden patients, but they are easily avoidable. These ulcers can become catalysts for more serious personal injuries and complications. These, among other examples of nursing home negligence are all 100 percent preventable with appropriate training, staff supervision, and facility upkeep.